Nadja is a scientist and filmmaker interested in the intersection of science and the arts. She is currently a HarvardX Fellow, producing and creating a multimedia, interactive, educational open-source documentary on topics within neuroscience. She graduated from MIT in 2007 with a BS in Neuroscience. She has studied visual arts, film, archaeology and anthropology, directed and produced short documentaries for Vice/VBS and published research as a neuroscientist at MIT and Harvard. She has conducted archaeological fieldwork in South Africa and investigated the evolution of primates while at UCL in London. 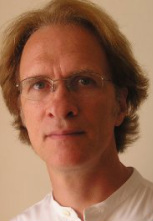 Mark Juergens has been a filmmaker in New York since 1982. His work as an editor has allowed him to stumble into documentaries, feature films, music videos, episodic television and experimental film productions, as well as editing his daughter’s birthday videos. Some of these projects have aired on HBO, Comedy Central , MTV, Bravo, A&E, Discovery, History Channel, MSNBC, Logo, Lifetime and PBS, among others broadcasters. Films he’s edited have ended up at Sundance, the New York Film Festival, South by Southwest, and Berlinale. Shira is an actress, teacher, and voice-over artist based in Jerusalem, Israel. She has over 15 years of experience performing and teaching improvisational theater, and prior to her move to Israel in 2005 she spent seven years performing with one of Baltimore and DC’s most popular improv groups. She has appeared on popular Israeli television (including the hit show Srugim) and was an ensemble member of Israel’s only professional English speaking theater company. Shira has a degree in Exercise Physiology, is a certified massage therapist, and maintained a private practice and taught in the health and wellness industry for many years. Mark composes music for feature films and documentaries. He’s had the pleasure of working with many independent filmmakers and greatly appreciates the opportunity to collaborate with Anna and Nadja on Unorthodox. Feature credits include Whit Stillman’s Metropolitan, Barcelona , Last Days of Disco and Damsels in Distress; Shari Springer-Berman and Bob Pulcini’s American Splendor and The Nanny Diaries; Mary Harron’s The Notorious Bettie Page. Documentaries include Off the Menu, The Young and the Dead, Sound and Fury, Shelter Dogs, Unknown Soldier, Well-Founded Fear, and the series How Democracy Works Now. He is an Associate Professor of Film Scoring at the NYU/Steinhardt. Allegra is an accomplished musician, having been featured as a cellist on many recordings and in numerous music videos. But it wasn’t until she was doing research for her Masters’ at Sorbonne University – Paris IV that Allegra developed her passion for music in film and television. Since her return to Los Angeles, Allegra has pursued a career both in sound and music editing, and has worked on various television shows, documentaries and independent films.